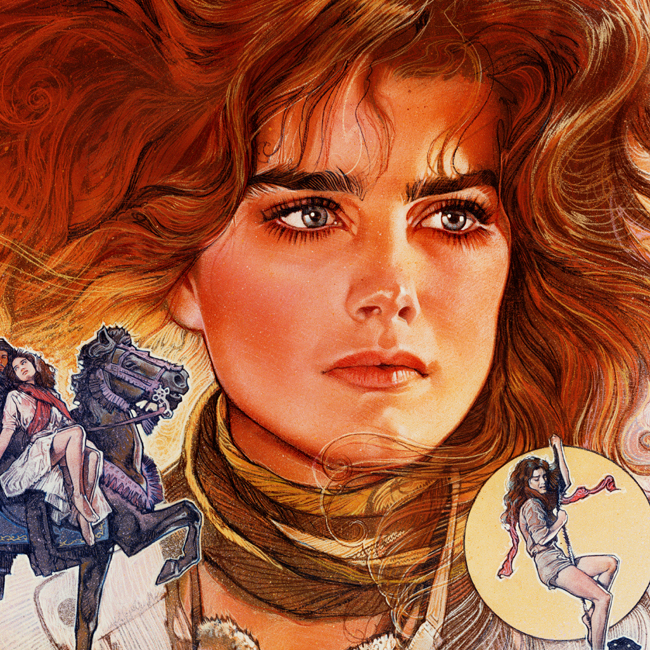 Sahara is a 1983 movie starring Brooke Shields, Lambert Wilson, John Mills and Horst Buchholz. It was directed by Andrew V. McLaglen. The original music score was composed by Ennio Morricone. At the 1984 Razzies, Brooke Shields was nominated for worst actress. The film's tagline is "She challenged the desert, its men, their passions and ignited a bold adventure." Over 20 years later, Lambert Wilson would have a major role in 2005's Sahara, a film based on Clive Cussler's book. Drew also worked on this incarnation of Sahara 20 years later.